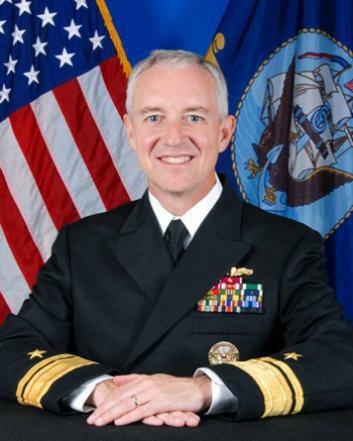 David Titley, climate change war: An interview with the retired rear admiral of the Navy. The U.S. military is preparing for conflict, retired Navy Rear Adm. David Titley says in an interview. Retired Navy Rear Adm. David Titley sees climate change as a driving force in the 21st century. Climate change worsens the divide between haves and have-nots, hitting the poor the hardest. It can also drive up food prices and spawn megadisasters, creating refugees and taxing the resiliency of governments. The parallels between the political decisions regarding climate change we have made and the decisions that led Europe to World War One are striking – and sobering. The decisions made in 1914 reflected political policies pursued for short-term gains and benefits, coupled with institutional hubris, and a failure to imagine and understand the risks or to learn from recent history. Slate: You’ve been a leader when it comes to talking about climate change as a national security issue. What’s your take on the connection between war and climate? Titley: Climate change did not cause the Arab spring, but could it have been a contributing factor? I think that seems pretty reasonable. This was a food-importing region, with poor governance. And then the chain of events conspires to have really a bad outcome. You get a spike in food prices, and all of a sudden, nobody’s in control of events. Slate: What’s the worst-case scenario, in your view? Titley: There will be a discrete event or series of events that will change the calculus. I don’t know who, I don’t know how violent. To quote Niels Bohr: Predictions are tough, especially about the future. When it comes, that will be a black swan. The question is then, do we change? Slate: That sounds incredibly daunting. How could we head off a threat like that? Titley: I like to think of climate action as a three-legged stool. There’s business saying, “This is a risk factor.” Coca-Cola needs to preserve its water rights, Boeing has their supply chain management, Exxon has all but priced carbon in. They have influence in the Republican Party. There’s a growing divestment movement. The big question is, does it get into the California retirement fund, the New York retirement fund, those $100 billion funds that will move markets? Politicians also have responsibility to act if the public opinion changes. Flooding, storms, droughts are all getting people talking about climate change. I wonder if someday Atlanta will run out of water? Think back to the Apollo program. President Kennedy motivated us to land a man on the moon. How that will play out exactly this time around, I don’t know. When we talk about climate, we need to do everything we can to set the stage before the actors come on. And they may only have one chance at success. We should keep thinking: How do we maximize that chance of success? Slate: Despite all the data and debates, the public still isn’t taking that great of an interest in climate change. According to Gallup, the fraction of Americans worrying about climate “a great deal” is still roughly one-third, about the same level as in 1989. Do you think that could ever change? Titley: A lot of people who doubt climate change got co-opted by a libertarian agenda that tried to convince the public the science was uncertain—you know, the Merchants of Doubt. Unfortunately, there’s a lot of people in high places who understand the science but don’t like where the policy leads them: too much government control. Where are the free-market, conservative ideas? The science is settled. Instead, we should have a legitimate policy debate between the center-right and the center-left on what to do about climate change. If you’re a conservative—half of America—why would you take yourself out of the debate? C’mon, don’t be stupid. Conservative people want to conserve things. Preserving the climate should be high on that list. Slate: What could really change in the debate on climate? Titley: We need to start prioritizing people, not polar bears. We’re probably less adaptable than them, anyway. The farther you are from the Beltway, the more you can have a conversation about climate no matter how people vote. I never try to politicize the issue. Slate: How quickly could the debate shift? How can we get past the stalemate on climate change and start focusing on what to do about it? Titley: People working on climate change should prepare for catastrophic success. I mean, look at how quickly the gay rights conversation changed in this country. Ten years ago, it was at best a fringe thing. Nowadays, it’s much, much more accepted. Is that possible with climate change? I don’t know, but 10 years ago, if you brought up the possibility we’d have gay marriages in dozens of states in 2014, a friend might have said “Are you on drugs?” When we get focused, we can do amazing things. Unfortunately, it’s usually at the last minute, usually under duress.